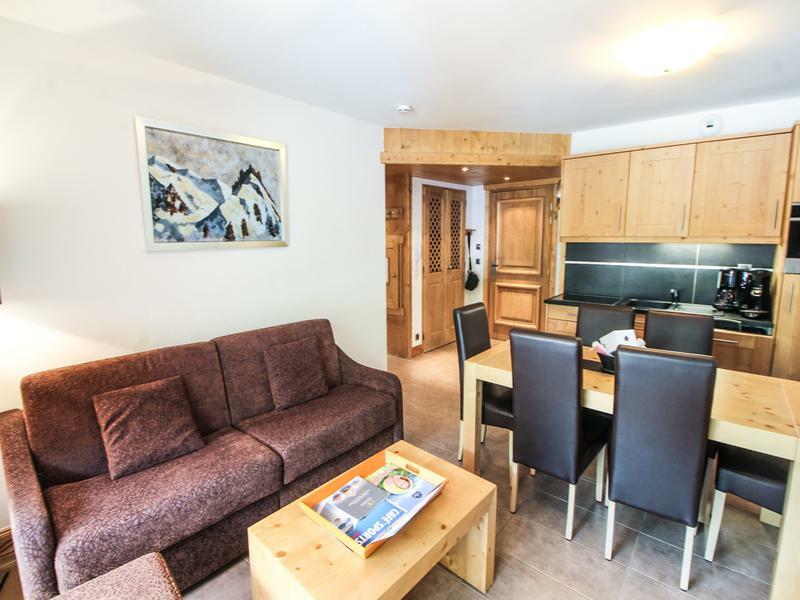 This two bedroom apartment offers a great holiday destination in the heart of the Espace Killy for both summer and winter. It is modern, well designed and finished to a high standard whilst the block has numerous features including a swimming pool and spa. 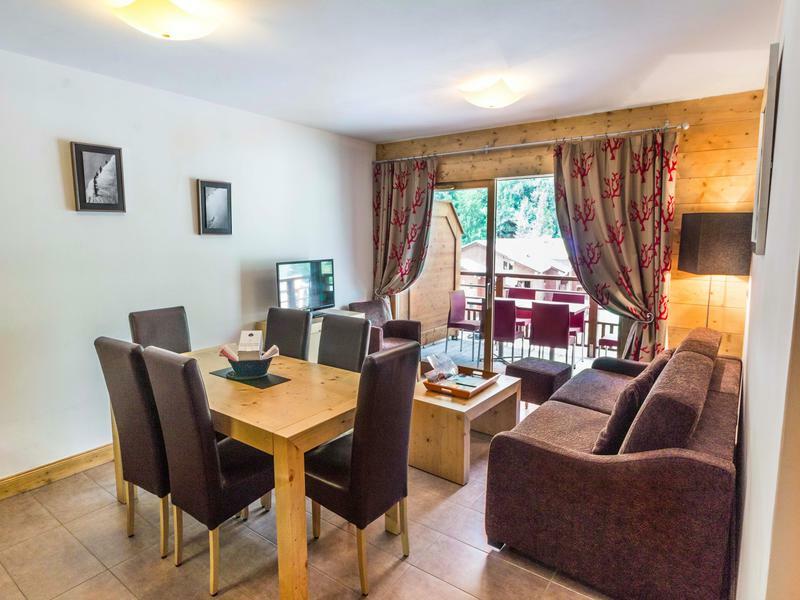 This apartment is situated in an attractive chalet style building that makes up this modern development that includes restaurants, shops and services. Entering the apartment there is a toilet on your left and then a large living and dining area with the kitchen on one wall and access via French doors onto a balcony. 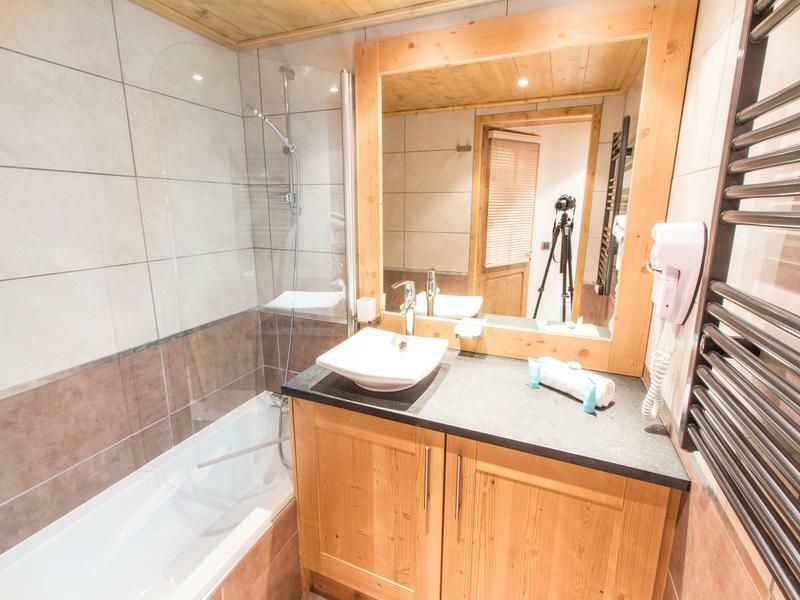 Moving along the hallway there is a bathroom with bath, heated towel rail and sink. 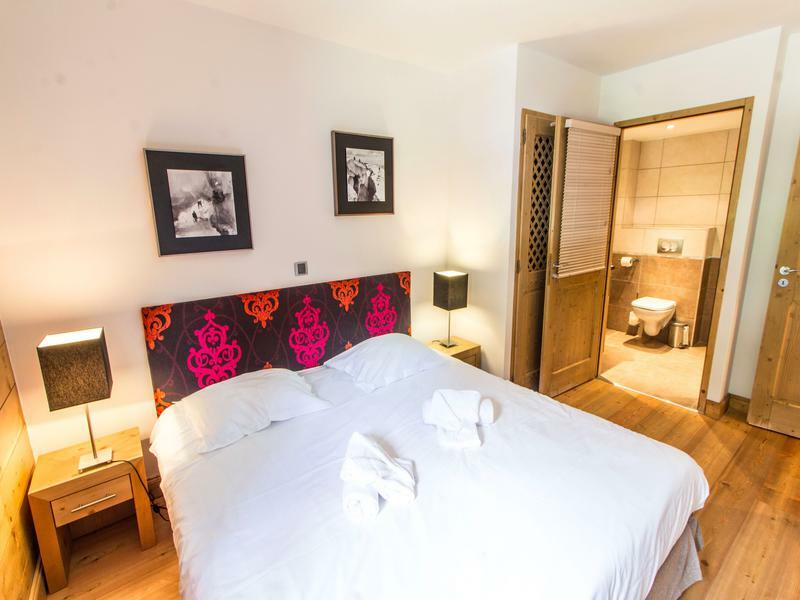 Then you a have a twin bedroom and then a larger double bedroom with en-suite shower. 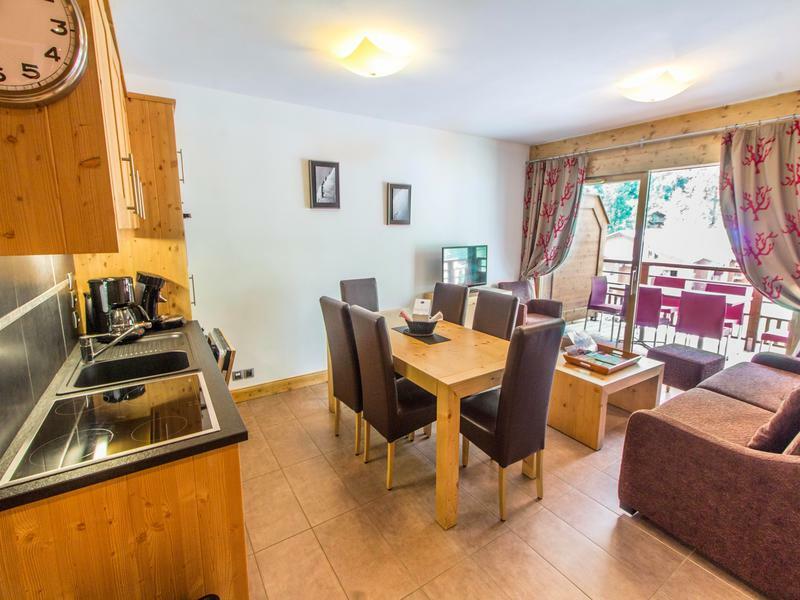 The apartment is fully furnished and heated with electric radiators. There is also a parking space and a cave. 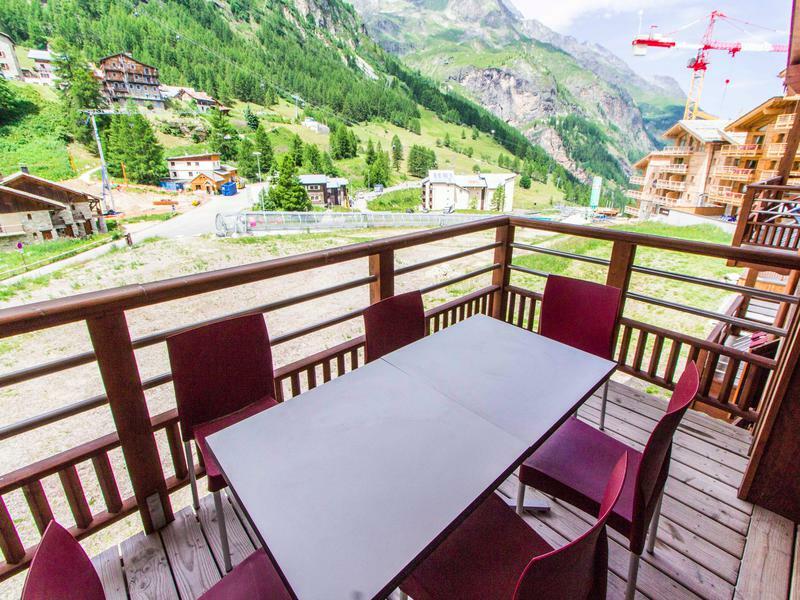 Tignes and Val d’Isere, combined, make up the world renowned ski area of Espace Killy. Tignes itself offers all year round skiing with the Grande Motte glacier, altitude of 3030 metres, being served by a modern funicular. Val d’Isere offers expert off piste skiing on the beautiful Col d’Iseran. The other 2 sectors of the linked area have more gentle runs, perfect for beginners. Tignes is a purpose built resort. The centre is Le Lac, which was the original village. Recent remodelling work has improved its appearance dramatically. 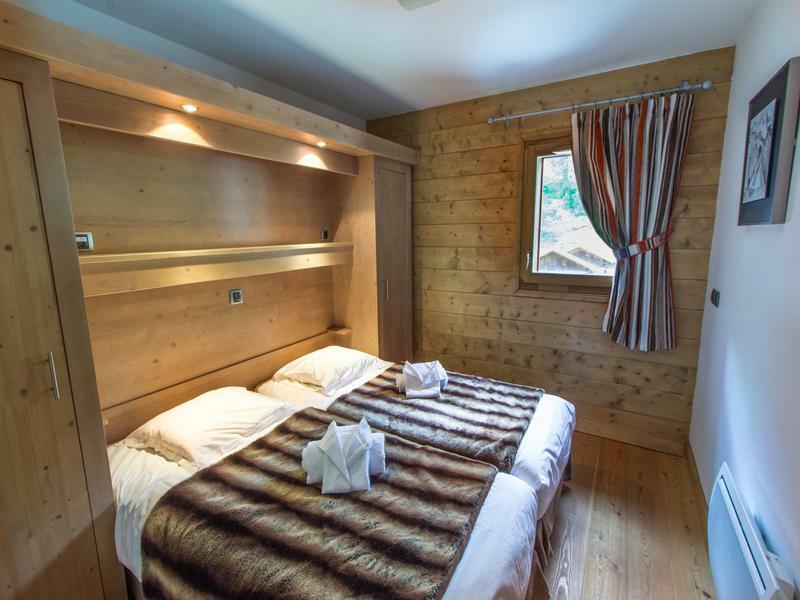 Val Claret is situated 2kms higher and is where you will find the Grande Motte funicular. A lesser known part of Tignes is Le Breviere, which lies at 1550 metres. Situated next to a picturesque lake it has maintained its small alpine village atmosphere. As well as skiing and snowboarding, Tignes offers numerous other activities, including ice skating, snow shoeing, ice climbing and quad biking. Sports shops, supermarkets and bakers are spread throughout the resort. And there are no shortage of bars and restaurants. Le Lac is the heart of Après Ski drinks whilst the most atmospheric places to eat can be found in Val Claret. The Eurostar offers a regular service to Bourg Saint Maurice which is at the foot of Tignes, from here a taxi transfer can be arranged. Local Airports include Lyon (approx 140km), Geneva (130km), Chambery (80km) and Grenoble (120km).